The Obama era was the most partisan; Barack Obama reigned over the country as the polarizing president history according to a new Gallup poll released on Thursday, Jan. 26, 2017 that looked at the partisan support of Obama during his eight-year presidency. The survey proved what already seemed obvious from the news media and recent events that Americans are more partisan than ever in American history. It is leading the country down the wrong path and divides not seen since the Civil War, ironically by a president who was elected on a pledge to unite rather than divide. Gallup has been crowning the last six years of Obama’s presidency as polarized with an increasingly larger partisan divide. According to Gallup, Presidents Reagan, Bill Clinton, Bush and now Obama a party gap of over 50 percent, with 52, 55, 61 and 70 respectively. Nixon was the only president to a gap in the 40s range with 41 percent. Three presidents had gaps in the 30s, Dwight D. Eisenhower, with 39 percent, George H. W. Bush with 38, and John F. Kennedy with 35 percent. The least divisive presidents partisan wise were Jimmy Carter and Lyndon B. Johnson with a 27 percent gap, and Gerald Ford with a 29 percent. George H. W. Bush presidency might not seem divisive because it was not during its first three years with a party gap of only 32 to 24 percent, but his last year in office when the economy was in trouble became far more polarized with a gap of 54 percent, which continued through the Clinton era. Gallup indicated that the average party support gap from 1953 to 1981 was only 34 percent, from 1981 to 2017 it grew to a 54 percent average. Republicans could not forgive Obama for passing with the Democratic-controlled Congress the American Recovery and Reinvestment Act, and most importantly the Affordable Care Act, healthcare law, which passed into law without a single Republican vote, that the GOP spent the remainder of his presidency trying to repeal it. Obama’s inability to compromise led to the sequestration, across the board spending cuts to reduce the deficit in March 2013, and later that year one of the longest government shutdowns in October that last over two weeks over failing to agree on a federal budget. Obama had little legislative success for his last six years in office, because of his confrontational and cold war attitude to the Republican Congress. Obama, however, inflamed more with his talk than actions, he only issued 277 executive orders only a 35 per year average, less than his immediate predecessors did and less than any president in 120 years based on a yearly average. Just as he used his rhetoric to unite Americans in his 2008 campaign, he used it to divide them in during his presidency. Obama realized how much he contributed to the partisan divide in the nation by his last year in office. The former president called it his greatest regret since he campaigned in 2008 as a uniter but became a divider. First Obama lamented his failures as he was running reelection in September 2012 during an interview, saying, “I’m the first one to confess that the spirit that I brought to Washington, that I wanted to see instituted, where we weren’t constantly in a political slugfest . . . I haven’t fully accomplished that. My biggest disappointment is that we haven’t changed the tone in Washington as much as I would have liked.” Still, Obama turned his positive hopeful campaign from 2008 into a more insulting model in 2012. In the same State of the Union, Obama made a final “plea” to end the partisanship, saying, “A better politics doesn’t mean we have to agree on everything. This is a big country, with different regions, different attitudes, different interests. It doesn’t work if we think the people who disagree with us are all motivated by malice. It doesn’t work if we think our political opponents are unpatriotic or trying to weaken America. Democracy grinds to a halt without a willingness to compromise; or when even basic facts are contested, and we listen only to those who agree with us.” The president, however, never seem to take his advice or practice what he preached. Obama failed to do anything to soothe the partisan divide in his last year in office and possibly inflamed according to Gallup with his intensely partisan rhetoric as he campaigned for Democrat Hillary Clinton in the 2016 presidential election. The campaign between Clinton and Republican, now President Donald Trump was one of the nastiest in American history with a deep partisan divide between two vastly different candidates and the demographics of their supporters. Obama’s failure to bridge the partisan divide only led to a more divisive presidency, and it is only getting worse. According to the first numbers Gallup collected from Trump’s fledgling presidency show the nation is even more divisive and partisan under Trump. According to Gallup, Trump is seeing a 76 percent gap between party approval ratings with 90 percent of Republicans approving of him while only a meager 14 percent of Democrats. Trump’s first week in office included a flurry of executive actions, adding a wall to the Mexican border, approving oil pipelines, and barring refugees and immigrants from some Muslim countries resulting in reactionary protests across the country and around the world, ensuring a new age of even more polarizing politics. Obama’s polarizing numbers show a greater failure, while Trump had always campaigned as a divisive, controversial, revolutionary and populist choice, Obama overriding theme throughout his career in national politics was the aim to unite the partisan divide. Instead, his period in the spotlight created the most intense divisions within the country not seen since the Civil War when the North and South waged war over their brothers over states rights and slavery. Now the country seems on the verge of a new ideological civil war between the Red and Blue States, Republicans and Democrats, Conservatives and Liberals. While not yet violent, this new war uses the weapons of words and protests against those they ideologically oppose, with Obama’s Democrats being the most vocal and extreme. Obama always wanted to emulate Abraham Lincoln, but now his only semblance to the great president who presided and ended the Civil War was the Lincoln, the divider which when elected in 1860 saw half the states of the union secede. Unlike Lincoln, Obama further tore the country apart and never tried to put it back together. Political pundits and the news media may have initially called President Donald Trump inauguration address dark and divisive, but the American public liked it and his American first theme. According to both a POLITICO/Morning Consult poll released on Wednesday, Jan. 25, 2017, and a Gallup poll released Sunday, Jan. 22 a majority of Americans liked Trump’s inaugural address. The Politico poll found that 49 percent approved while Gallup found 53 percent did not. The Gallup poll also looked at other reactions from the inauguration, and found it very much a partisan affair but was in tune to recent inaugurations. Despite the positive reviews, historically inaugural addresses have been well received by more Americans. In 2013, Barack Obama had 65 percent of Americans giving him “excellent/good ratings” and in 2005; George W. Bush had 62 percent. Obama broke the record in 2009 when he was inaugurated as the first African-American president in American history receiving the highest ratings from 81percent of Americans. According to Gallup’s poll, 39 percents of Americans felt more hopeful, 30 percent felt less hopeful, and 30 percent felt no different. In general, there was a partisan divide on to how hopeful Americans felt, with 78 percent of Republicans feeling that way, while 56 percent of Democrats felt less hopeful. In comparison, during Obama’s second inauguration in 2013, 37 percent of all American voters felt more hopeful, 27 percent less hopeful, and 30 percent no different. In 2005, When Bush had his second inauguration, 43 percent felt more hopeful, 25 percent less hopeful and 28 percent no different. The exception to this trend was Obama’s first inauguration in 2009, where he ran on hope and made his history with his election, then 62 percent felt more hopeful, only 11 percent felt less hopeful, and 23 percent felt no different. Additionally, Gallup asked who viewed the inauguration, Trump’s was hardly the most watched inauguration, and neither was it the most watched recently. According to Gallup’s poll, 46 percent of all Americans saw Trump’s inauguration in any format. Additionally, 23 percent saw news or subsequent coverage of the inauguration. Only Obama’s first inauguration in 2009 beat Trump’s in recent years, Obama had 60 percent viewership for his first inaugural, but only 38 percent for his second, while Bush had 40 percent for his second inauguration. There was a partisan divide in viewership that was not there as much in previous inaugurations except Obama in 2013, with 61 percent of Republican viewing Trump’s inauguration, versus only 35 percent of Democrats. The voters’ view of Trump’s inauguration and address was a sharp contrast to the news media’s immediate reaction and commentary from pundits and academics all who agreed that Trump was divisive and failed in his first act as president. A majority analyzed that Trump should have gone a different route than his address that closely resembled his campaign rhetoric and stump speeches. The media was wrong again about Trump as they were about his prospects of winning the election. The contrast and two strikes against the news media show that they are too biased against Trump to the point they are risking their credibility, and the possibility that Trump’s presidency will be a success because he is the one more in tune with the American public. Donald Trump entered the presidency with the lowest approval rating of any newly inaugurated president. According to Gallup poll’s first three-dayapproval rating tracking of the Trump presidency released on Monday, Jan. 23, 2017, the new president only received a 45 percent approval rating, the lowest for any president in the post-World War II era. Trump also received a 45 percent disapproval rating. In contrast, the American public felt much better about his inauguration on Friday, with 39 percent feeling hopeful, which is on par with the last inauguration. According to Gallup Trump has a 45 percent approval rating, new president usually sees some of their highest numbers in this honeymoon period. Only Ronald Reagan in 1981 and George H. W. Bush in 1989 came close with a 51 percent approval rating upon entering the office. Reagan also won in a close election that was more an anti-Jimmy Carter vote than pro-Reagan one. Even George W. Bush fared better with 57 percent, despite losing the popular vote to Democrat Al Gore, with the Supreme Court deciding the presidency over a month after Election Day. Trump has been a divisive figure; he surprised all political polls and pundits to win the election against Democrat Hillary Clinton, winning the all-important Electoral College with 306 votes but lost the popular vote to Clinton by nearly three million votes. Trump was not able to endear himself to the American public during his presidential transition period. Many Democrats protested Trump’s election, questioned his legitimacy because he lost the popular vote. Insulted, instead of reaching out, Trump continued to play to his supporters, choosing the most all white male cabinet since Reagan’s in 1981. According to polls taken in the week before his inauguration, disapproval for Trump’s transition was up at historically high numbers. A survey from Fox News on his inauguration day said 37 percent approved of the then president-elect, while 54 percent said they disapproved. A poll from ABC/Washington Post released earlier in the week showed that only 40 percent approved of Trump and his transition. Meanwhile, Obama had an 80 percent approval during his transition. Gallup released a similar poll on Monday, Jan. 16, that looked favorability ratings. In that poll, only 40 percent of American view Trump favorably while 55 percent view him unfavorably. His Vice President’s numbers are not much better with only 42 percent having a favorable view of Mike Pence. Trump’s numbers were historically low. Most president-elect facing their inaugurations had high favorability ratings. In 2009, Barack Obama had a 78 percent favorability rating, in 2001; George W. Bush had a 62 percent, while in 1993 Bill Clinton had a 66 percent favorability rating. According to Gallup, Trump did not even high numbers among Republicans, with only 82 percent having a favorable view of him. In comparison, in 2001 97 percent of Republicans had a favorable view of Bush, while in 2009, 95 percent of Democrats had a favorable view of Obama and in 1993, 92 percent had a favorable view of Clinton. Politics January 23, 2017: Obama leaves office with average approval ratings how will his legacy fare? Barack Obama is leaving the presidency popular and with a high approval rating, but his term average is lower than other recent presidents. According to a Gallup Poll released on Friday, Jan. 20, 2017, the day Obama left office his final approval rating and the average for his presidency. According to Gallup Obama’s last approval rating was 59 percent, but his average is much lower at just under 48 percent with 47.9. With the President Obama’s final poll numbers set in stone, it is becoming easier to determine how he ranks against his predecessors, what his legacy will be and how history will look at him. According to earlier Gallup poll on Obama’s favorability published on Monday, Jan. 16, Obama has a 58 percent favorability rating, when he entered office in 2009 the president had 79 percent favorability his highest. In general, Obama has averaged a 53 percent favorability rating; his first year was his best where he had a 55 to 69 percent rating, and most recently after the 2016 election where Obama saw a 61 and 62 percent favorability rating. At his lowest, the president had a 42 percent rating just after the 2014 mid-term elections, where the GOP regained control of the Senate and saw momentum. Of the four presidents, Gallup tracked favorability ratings, Obama will see himself in second place after Republican George H.W. Bush, who left office in 1993 after losing his reelection bid, but still managed to have 62 percent favorability by January 1993. Ranking after Obama is Democrat Bill Clinton who had 57 percent favorability in January 2001. Only Republican George W. Bush embattled by two long and unpopular wars and an economic collapse fared the worst, with only a 40 percent favorability rating. Obama’s favorability rating is on par with his approval rating, where last scored a 59 percent according to the Jan. 17–19 Gallup Daily tracking, with a 57 in his last weekly poll. Obama had an average of 49.1 percent approval rating for his first term and a 46.7 percent for his second term. Obama tied for second place with the smallest approval rating range, which was only 31 percent. Dwight D. Eisenhower (1953–1961) also had a 31 percent range, but John F. Kennedy, who died tragically in office, had the smallest range of only 24 percent. Obama’s last weekly approval rating puts him in the high range of departing approval ratings of post-World War II presidents. Bill Clinton in 2001 had the highest exit approval rating with 66 percent. Next Reagan had 63 percent in December 1988; Obama comes in third with 59 percent, tying with Eisenhower with 59 percent in 1961 and Kennedy who had a 58 percent approval rating just before his assassination n November 1963. Of the recent presidents, George H.W. Bush with 56 percent in 1993 and George W. Bush, who only had a 34 percent approval rating the week before Obama took office in January 2009. Of the 12 post-World War II presidents, Obama sits at ninth place. Obama’s numbers never really went far high or very low accounting for his low position. Gallup analyzed that Obama “subpar approval ratings for much of his presidency.” Gallup noted that Obama started out with high numbers for an incoming president but after his first year in office his numbers to around 50 percent and staying below the “majority level” until he just before his reelection in 2012 in his 16th quarter in office. Despite the rankings, Obama’s lowest approval rating was only 38 percent, which he saw in August and October 2011, “after contentious negotiations over the debt ceiling limit and subsequent downgrading of the U.S. credit rating.” Obama saw a 38 percent approval rating again in September 2014, when as Gallup indicates, terrorist group ISIS beheaded American journalists, and after a particularly tense summer in the US, with racial tension, and international conflicts between Russia and Ukraine and Israel with the Palestinians. Most post-war presidents saw approval rating lower than Obama with five below 30 percent. Only Eisenhower and Kennedy never saw number lower than the 40s. The out-going president had the third highest job approval low of all post-war presidents. President Obama’s low overall ranking is also because he has never had high peaks in his approval ratings, and only ranks ninth in job approval highs, with 67 percent. Only Nixon and Reagan also never saw approval ratings over 70 percent during their presidencies. Obama’s presidency never had a “rally event” a threat to public security as Gallup calls it that bolsters an approval rating to very high numbers. The only thing Obama had that was close was when his administration caught “Osama bin Laden in May 2011,” but then Obama’s approval rating only bumped up to 52 percent. Obama average approval and favorability numbers come as historians will start assessing his presidency as a complete picture. Gallup analyzes that “Obama’s average job approval rating for his entire presidency was lackluster.” The poll blames it on the lack of a rally event and polarization caused by Republican opposition throughout his term. Although it is still early, Obama ranking as president and afterward might not be the same, Obama was not able to accomplish all that he wanted to as president because of his and the Republican Congress’s impasses and stubbornness, and a growing partisan divide. Obama was a go it alone president making his mark through executive actions, with just eight alone in his last month as president. Still, he failed to reform immigration neither through Congress, not through executive action, which the Supreme Court struck down. Still, in his first year as president, he accomplished what no other modern president could a health care law, the Affordable Care Act known as Obamacare. The GOP will try to repeal it, but they will face resistance from a public who views it as part of the rights. Obama’s other greatest accomplishment is turning around the economy from a great recession to a flourishing economy with the lowest employment rate in decades. 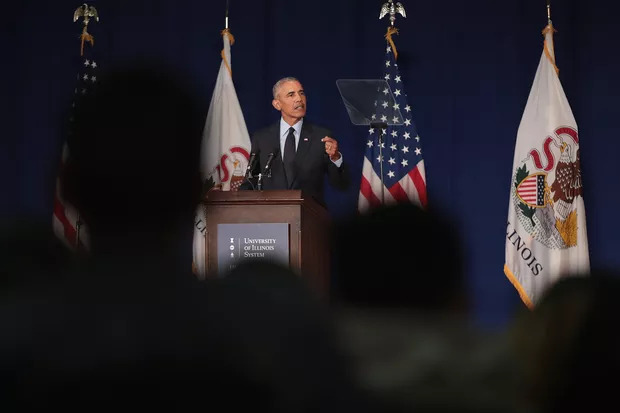 He reformed the education law and saw the nation’s highest high school graduate rates, Obama also believed in second chances, reforming federal sentencing laws, and granting more clemencies and commuting more non-violent drug sentences than any previous president. According to a recent article in the New Orleans Tribune, “Historians Rank President Obama’s Legacy” historians see psychological effects as part of his success. Obama broke boundaries as the first black president; he was also a professor president who was “disciplined” and often made unpopular decisions, which he saw fit. Obama believed in the American people being the best they can, which was behind his 2008 campaign slogan, “Yes We Can;” he made Americans hope and believe they all could aspire to equality and even the highest office in the land. We are still too early to assess Obama’s place in history and ranking among the presidents. Time magazine in their article “The One Reason We Can’t Assess President Obama’s Place in History,” spoke to three prominent presidential historians, Julian Zelizer, a professor of history and public affairs at Princeton, Timothy Naftali, Clinical Associate Professor of History and Public Service at NYU and Doris Kearns Goodwin. All three agreed that perspective, context and time are necessary to assess Obama’s legacy to see how his policies and accomplishments hold up. Just as his soaring hallmark rhetoric, Obama had so much potential for greatness, but like his ratings, in the end, he came off as just average according to the numbers. Only in the years, ahead looking back with clearer and less rose-colored views will historians really be able to see how much or if Obama truly changed the country during his tenure. The peaceful transfer of power, a hallmark of American democracy did not seem so peaceful on Inauguration day, Jan. 20, 2017. Americans in Washington, DC, and around the country protested the new President Donald Trump as he took the oath of office and embarked on what is already one of the toughest jobs as the most powerful leader in the world. As Trump was sworn in as president promising to give a “voice” to the “forgotten” and ensure “American carnage stops right here and stops right now,” violence hit the streets in his names, and thousands marched against him taking over the office of the presidency. As per the protocols of Inauguration day, Trump and his family proceeded from the night stay at Blair House to St. John’s Church for the traditional pre-inauguration services. Afterward, Trump and the future first lady Melanie Trump went to the White House for tea with the outgoing first couple President Barack Obama and First Lady Michelle and then traveled to the Capitol for the ceremony together. With clouds hanging over the Capitol on a somewhat warm winter day, at 11:30 a.m. the Inaugural ceremony began. Mike Pence was sworn in as Vice President first followed by Trump as President. Just as Trump took the podium to give his inaugural address, the rain started. Trump delivered a speech that was reminiscent of some his campaign rhetoric. The new president aimed to unite with his speech, but the populist overtones ran high. The news media and historians have called Trump’s speech divisive many political pundits were even more colorful and extreme in the analysis. Trump, who was still playing to his core constituents was never going to please the Democrats that still objected to his election. From Congress all away to the streets of DC and across the country Democrats protested Trump. Over 50 Democratic Congressional representatives boycotted the inauguration after Trump criticized Georgia congressman and civil rights icon John Lewis for calling his presidency illegitimate. Among Democrats that did attend, at House Minority Leader Nancy Pelosi’s behest, representatives wore blue buttons that said “protectourcare” protesting Trump and the Republicans bid to replace Obamacare, the health care law. Adding to the tensions of the day, Trump’s former opponent former first lady Hillary Clinton also attended the ceremony, contrasting with her former rival and her presence increased opposition especially for his detractors. In the streets of Washington, there were some peaceful protests, but they were overshadowed by the protests that became violent as the day went on. In total, 217 were arrested, and six DC police officer injured from the often riot like behavior. Protestors in black masks smashed store and car windows, put a limo on fire. Others blocked checks points into the inauguration preventing those that wanted to go to the inauguration. The protests capped on Saturday, Jan. 21, Trump’s first full day in office. Around 500,000 protesters packed the streets of the Capitol for a Women’s March on Washington for equal rights for all and opposed everything Trump stands for and his potential policies not just for women’s rights. The march was mimicked in sister cities in the US, with one million marching and around the world for a total of 673 rallies and 2.5 million protesting worldwide. The march was the largest in American history and will be linked forever in history to Trump’s inauguration. Despite the opposition, in between celebrating his inauguration, with festivities such as a post-ceremony Capitol luncheon, a parade, and three inaugural balls, Trump began his duties. The new president formally signed executive orders, nominating his cabinet, ending a mortgage premium cut set to run out, and in the Oval Office ridding the nation of the health care law’s individual mandate, the first step in ending a law Republicans have long opposed. Clinton, however, has never accepted the results and has silently encouraged her supporters to oppose them as well. Clinton took nearly a day to concede, supported Green Party nominee Jill Stein’s recount efforts and is now basking in her supporters’ protests and outrage. Trump won a majority of states, the king making Electoral College, but he lost the popular vote by nearly three million votes to Clinton a point Democrats have used against him, although he was not the first president to win the election without it and certainly will not be last. The nation is more divided than ever among Democrats and Republicans, a chasm almost as big as the one that led to the Civil War over 150 years ago, resulting in a new ideological civil war between the parties and mostly the American public. In 1861, President Abraham Lincoln took office with half the countries’ states seceding from the Union; the president tried to unite with his inaugural address like Trump now there is nothing he could have said that would have prevented war beginning a little over a month after he took office. Trump too is leading a fractured nation; with an electorate that has separated themselves from the country he serves as president insisting he is not their president. What makes the United States unique is its democracy, its peaceful transfer of power between parties for over two hundred years. One party and its supporters alternately were disappointed for four or eight years until the next transfer of power. Democrats now oppose not just Trump or his policies or possible personal foibles, but the bedrock of American democracy, as they protest and shout this is what Democracy looks like. Democrats have been spoiled by the Obama years where every lifestyle was granted rights. They now oppose the transfer of power and are essentially calling for the Democratic Party to run the country, a democratic dictatorship. They ignore the fact that the country voted not only a Republican president but Congress, the House of Representatives and Senate, that all over the nation, most state governors and legislatures are Republican controlled. Democracy worked, and the nation wanted after eight years of a Democratic president, the Republican Party and its long known values and policies. For the nation to not spiral out of control, Democratic leaders have to stand up and put an end to the opposition not feed its fires. Clinton has to denounce her supporters’ opposition, but she never will. Clinton cannot accept her defeat, finds comfort in the support, and protests in her name. It is Clinton, not Trump, who in the end could not accept the election results and in her selfishness, she is fanning the flames putting the country at risk and rocking the core tenants that made America the shining democratic example to the world. Despite all the criticism, there is nothing President Trump could have said in his inaugural address that would end the divisiveness. 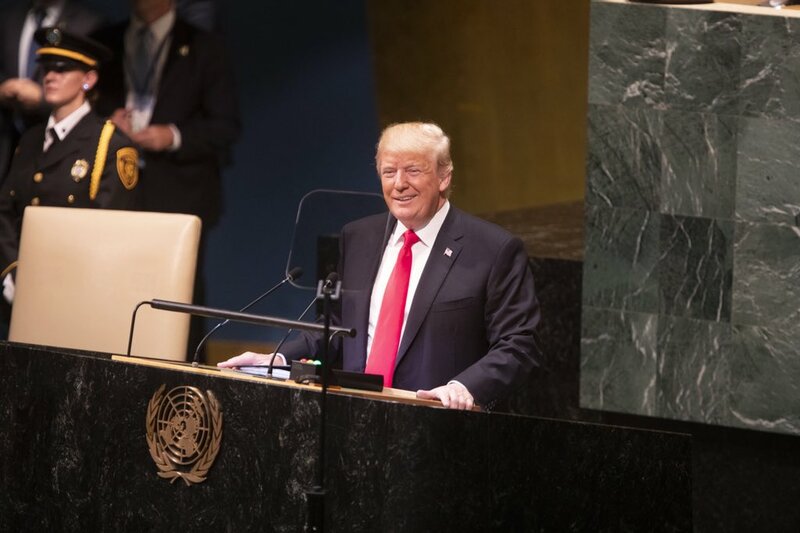 Unfortunately, as the protests prove, Clinton garnered more power in losing that winning, without Clinton and the Democrats in Congress calling for unity; President Trump although in the authority is powerless to unite the country he so badly wants to lead. Barack Obama is leaving the presidency popular and with a high favorability rating, just not as high as he entered the office. According to a Gallup Poll released on Monday, Jan. 16, 2017, Obama’s favorability is the second highest of all presidents since 1992, when they began looking at favorability. Obama’s favorability is on par with his approval rating. The president is not even the most popular member of his outgoing administration, First Lady Michelle Obama has a higher favorability as most first ladies do and even Vice President Joe Biden is proving more popular. According to the Gallup poll, Obama has a 58 percent favorability rating, when he entered office in 2009 the president had 79 percent favorability his highest. In general, Obama has averaged a 53 percent favorability rating. His first year was his best where he had a 55 to 69 percent rating, and most recently after the 2016 election where Obama saw a 61 and 62 percent favorability rating. At his lowest, Gallup notes, the President Obama had a 42 percent rating just after the 2014 mid-term elections, where the GOP regained control of the Senate and saw momentum in the House and general support. Of the four presidents, Gallup tracked favorability ratings for, Obama will see himself in second place after Republican George H.W. Bush, who left office in 1993 after losing his reelection bid, but still managed to have 62 percent favorability by January 1993. Ranking after Obama is Democrat Bill Clinton who had 57 percent favorability in January 2001. Only Republican George W. Bush embattled by two long and unpopular wars and an economic collapse fared the worst, with only a 40 percent favorability rating. First Ladies are history more popular than their president husbands are, and Michelle Obama is no exemption to that rule. First Lady Michelle has maintained her favorability during the last eight years, entering in 2009 with a 68 percent rating and leaving with the same number. Mrs. Obama’s highest numbers were two months into the presidency where she saw a 72 percent rating. Vice President Biden sees his best numbers to date leaving office with a 61 percent favorability rating. Biden’s popularity seems to be recent, at his highest point after the 2008 election, the VP only had a 59 percent rating, and throughout the Obama administration Biden only saw a 38 to 49 percent favorability rating, his number only rose after the 2016 election where they hit 57 percent and kept climbing. Gallup called Obama’s approval rating average “sub-par” and “lackluster,” but they “predict he will go down in history as a better president than several of his predecessors who had higher average approval ratings.” President Obama was always more popular personally than was his policies and accomplishments; he ends his presidency the same way well liked by an American public anxious about the future administration and nostalgic for the last one. With just ten days to go until Donald Trump takes the oath of office becoming the President of the United States, the Senate is beginning confirmation hearings for Trump’s cabinet nominees. So far, the Senate scheduled confirmation hearings for eight of the cabinet’s most important positions and began the process on Tuesday, Jan. 10, 2017 on Capitol Hill. Democrats are promising to give Trump’s nominees a difficult time in the hot seat, many of the president-elect’s nominees have not submitted financial documents to Office of Governmental Ethics their review; Trump’s cabinet is expected to have the greatest net worth of any previous presidential cabinet. None of the nominees can be confirmed until Trump takes office. In total 1,212 “senior posts and agency heads” need to be confirmed by the Senate after a “background check” is complete. A lengthy indeed, so much so that the trump transition is downplaying the need for background checks in an attempt to move along the confirmation process in the Republican-controlled Senate. Only advisors to the president and the White House chief of staff are exempt from the arduous process. ABC News explained the confirmation process; nominees go through extreme vetting by the president’s team and the FBI submitting “financial disclosure reports, criminal checks and questionnaires about ties to foreign governments.” Then the appropriate Senate committee conducts the hearing for the nominee then they vote to determine if the entire Senate will vote to confirm the nominee if so it goes to the Senate floor. Since the Democrats opted for the nuclear option, confirmations only require a “simple majority” vote of 51 senators, and they can no longer be filibustered or require 60 votes. Attorney General: Jeff Sessions — Jan. 10–11, 9:30 a.m. Homeland Security: John Kelly — Jan. 10, 3:30 p.m.
Secretary of State: Rex Tillerson — Jan. 11–12, 9 a.m., 10 a.m.
CIA Director: Mike Pompeo — Jan. 11, 10 a.m.
Secretary of Transportation Elaine Chao — Jan. 11, 10:15 a.m.
Secretary of Commerce: Wilbur Ross — Jan. 12, 10 a.m.
Secretary of Housing: Ben Carson, Jan. 12, 10 a.m.
Secretary of Education: Betsy DeVos — Jan. 17, 5 p.m. Finally, what seemed like the longest and nastiest presidential election in American history is over. On Friday, January 6, 2017, Congress in a joint session certified the Electoral College votes the elected Republican Donald Trump president. Like the campaign, the certification process did not complete without Democrats trying to mount a last minute effort to prevent Trump from becoming president, actions, that Vice President Joe Biden, who presided over the count shutdown. Instead, the representatives just interrupted and annoyed Biden who had to chastise them repeatedly, and according to CNN, they interrupted the Vice President 11 times. Biden scolded them a few times, “There is no debate. There is no debate.” Biden told Rep. Jayapal, “There is no debate, and if it’s not signed by a senator the objection cannot be entertained.”ABC News recounted that he banged the gavel several times to stop one representative from speaking. The Vice President also gave them a reality check telling the representatives “It is over.” According to the Hill, Biden’s declaration prompted “cheers” from the Republicans who mostly occupied the chamber and even made Speaker of the House Paul Ryan (R-Wisc.) “laugh.” Thankfully, it is all over after the rollercoaster ride that was the 2016 presidential election. It is never a good to discover that a best-selling author and journalist plagiarized even worse when they have a Ph.D. from an Ivy League university and are also the Deputy National Security Advisor for Strategic Communications and Speechwriting Designate for the new Donald Trump Presidential Administration. On Saturday, Jan. 7, 2017, CNN published a report accusing Monica Crowley of plagiarizing up to 50 passages from her 2012 book “What The (Bleep) Just Happened” published by “HarperCollins imprint Broadside Books.” CNN says that Crowley copied “columnists, think tanks, and Wikipedia” and made only minor changes to the original passages. Even more troubling her book does not have any endnotes or even a bibliography citing her sources. It is surprising that it took so long for her transgressions to be discovered. This is the second time Trump has had to deal with a plagiarism scandal. This past summer Trump’s wife Melania was accused of plagiarizing her Republican National Convention speech, which resembled all too closely outgoing first Lady Michelle Obama’s 2008 Democratic National Convention speech. The accusations created a media sensation, Melania’s speech was written by a longtime Trump employee, who the then-Republican presidential nominee refused to fire. As CNN noted this is not Crowley first time is facing plagiarism charges, in 1999 Slate accused Crowley of copying passages from her recent Wall Street Journal articles from another article published in 1988 from Commentary Magazine. At the time, Crowley denied the charges, and it seemed to be a blip on her career, but this time the accusations are far more damaging. Crowley is the author of three books, two on Nixon,1998’s “Nixon in Winter: His Final Revelations about Diplomacy, Watergate, and Life out of the Arena” and 1996’s “Nixon Off the Record: His Candid Commentary on People and Politics.” In 2012 Crowley had “What the (Bleep) Just Happened . . . Again? : The Happy Warrior’s Guide to the Great American Comeback” published the New York Times best-selling book at the center of a plagiarism scandal. Additionally, Crowley has had a long career as a journalist in print, radio, and television. She has written columns and articles for the New York Post, “The New Yorker, The Wall Street Journal, the Los Angeles Times, the Baltimore Sun, and The Washington Times.” Crowley had a radio show on National Public Radio and now a podcast on iTunes. On television, she has spent most of her career affiliated with Fox News and for a brief time on MSNBC. The History News Network published a page “Historians on the Hot Seat” looking at the scandals in particularly among professional historians including plagiarism. HNN listed 18 historians some well-known accused of plagiarism or “manipulating” or manufacturing information in their articles or books. The historians include: Stephen Ambrose, Michael Bellesiles, Paul Buhle, Donald Cuccioletta, Philip Foner, Doris Kearns Goodwin, Leonard F. Guttridge, Stanley I. Kutler, Ann Lane, Bryan Le Beau, David McCullough, S. Walter Poulshock, Louis Roberts, R. Fred Ruhlman, Don Heinrich Tolzmann, Benson Tong, Brian VanDeMark, and Matthew Whitaker. Additionally, the Plagiarism Today blog operated by copyright and plagiarism consultant Jonathan Bailey regularly lists plagiarism scandals in all writing fields. Accusations of plagiarism are often the kiss of death for journalists, authors and academics the intellectual equivalent of a criminal charge. Time Magazine recently listed the six of the most “notable cases of plagiarism” They included a politician, mostly journalists and even a novelist. Vice President Joe Biden’s 1987 accusations of plagiarizing speeches and during law school of copying pages in a Fordham law review article which prematurely ended his 1988 run for the Democratic nomination. CNN and Washington Post Journalist Fareed Zakaria was accused in 2014 of “serial plagiarism” flagrantly copying other’s work in his articles, books and on television without any attributions. Author Alex Haley even faced plagiarism charges for his Pulitzer Prize-winning novel “Roots;” courts determined that Haley had copied “ideas, names, and direct passages” from Harold Courlander’s “The African” (1967) prompting Haley to make a financial settlement. Of those only Blair and Lehrer’s career suffered in the long-term, but each author whether journalist, novelist or politician faced immediate ramifications that set back their careers or their pocket book. The problem is academics with doctorates are often at the center of these scandals as previously noted; they should know the most about properly citing their sources and crediting fellow authors with quotations, endnotes, and bibliographies having gone through the arduous dissertation process and even a couple of published books. Academics are often the sloppiest using their academic reputations as a means of dismissing the charges or even blaming it on their assistants. Accusations run the gamut from misattributing quotes, to the worst of the charges such as Crowley copying passages word for word without quoting and citing and passing those passages and ideas as her own. In the effects for academic like Crowley who has a doctorate can be more severe. One of Academia’s most famous plagiarism cases involved Pulitzer Prize-winning historian Doris Kearns Goodwin who was accused in 2002 by the Weekly Standard of plagiarizing in her best-selling 1987 book “The Fitzgeralds and the Kennedys: An American Saga.” First Kearns Goodwin did not comment on the charges of not attributing sources, but more accusations surfaced including that she paid off one of the author’s she plagiarized. She then admitted the improper citations were unintentional an article published in Time Magazine which Forbes called “self-serving,” calling it all an error. During the scandal, it emerged she also plagiarized in her 1994 and Pulitzer Prize-winning “No Ordinary Time: Franklin and Eleanor Roosevelt: The Home Front in World War II.” Kearns Goodwin promised to revise her books to correct the lack of citations. Kearns Goodwin was let go from her position as Commentator for PBS’s “NewsHour With Jim Lehrer,” and for awhile she was not welcome in historical and commentating circles. Three years later, she published “Team of Rivals: The Political Genius of Abraham Lincoln,” which completely rehabilitated her career, garnering her a Lincoln Prize in 2005 and the New-York Historical Society’s inaugural American History Book Prize and 2012 was adapted into an Academy Award-winning film by Steven Spielberg. Not all authors are as lucky as Kearns Goodwin for many plagiarism high profile cases like hers tarnishes their career forever. Historian and Arizona State University Professor Matthew Whitaker had his career go down the drain from repeated plagiarism accusations. Whitaker was first accused of plagiarism in 2012 over his 2011 book “Race Work: The Rise of Civil Rights in the Urban West” Whitaker dismissed the accusations as amounting to racism. ASU determined passages were copied, but they ended the issue until 2015 when Whitaker again faced accusations of plagiarism for his 2014 book, “Peace Be Still: Modern Black America from World War II to Barack Obama.” ASU decided to demote Whitaker associate professor until a third accusation arise that he copied power point presentations he created for the Phoenix Police Department. ASU then forced Whitaker to resign from his post. Plagiarism cases similar to Crowley’s happen all the time, whether in academia, journalism or even literature. Many plagiarism cases go under the radar not getting the publicity they should because the authors are not nearly as well- known, in these cases neither does the authors they copied get their due without the court of public opinion weighing in on the controversies, letting the plagiarists get away easier. The higher profile case usually, the larger backlash against the accused. Recent history has proven that not all cases end up in career death forever, most, however, are punished at least for a while their transgression. Considering Trump’s case with the plagiarizing speechwriting for his wife’s RNC speech it is highly unlikely he will fire Crowley, but neither should she think she will so easily be welcome back to the writing and commentary world once she leaves the government sector. Like the zero tolerance policies, universities have in place there should be zero tolerance to plagiarism in the professional world. If one does not know how to write, cite their sources or have ideas of their own they should not be writing in the first place, and if they plagiarize publications should refuse to publish their works in the future, then everyone would learn the lesson. Without clamping down plagiarism is going to continue and like this, writers would think twice before stealing others work. Congress convened on Tuesday, Jan. 3, 2017, for the 115th session and the first of Donald Trump’s administration in a rocky start. Even before the session officially started it began with controversy for the Republican majority in the House of Representatives who went against Speaker of the House Paul Ryan and voted on Tuesday, Jan. 2 to “weaken” the independent Office of Congressional Ethics, before reversing their course the next day after Trump voiced his disapproval. On Monday evening, GOP members of the House voted 119–74, to place the independent Office of Congressional Ethics under House Ethics Committee at their conference meeting as part of their new rules package. Speaker Paul Ryan (R-WI) and Majority Leader Kevin McCarthy (R-CA) were against the changes that immediate faced a backlash and bad press for the new GOP majority. House Minority Leader Nancy Pelosi (D-CA) also spoke out against the GOP’s plan. Pelosi wrote in a statement released after the GOP reversed their vote, “House Republicans showed their true colors last night, and reversing their plans to destroy the Office of Congressional Ethics will not obscure their clear contempt for ethics in the People’s House. Republicans should remember the strength of public outrage they faced in the space of 12 hours as they scheme to do lasting damage to the health and economic security of millions and millions of hard-working families.” The OCE was created in 2008 under Pelosi’s speakership and acts as an independent non-partisan office investigating any Congressional wrongdoing. The proposal was authored by House Judiciary Committee Chairman Bob Goodlatte (R-Va.). The changes would have prevented the OCE from investigating any criminal wrongdoing . Instead any issue would have had to be sent to the House Ethics Committee or law enforcement, and the HEC would have been given the power to cease any investigation. Additionally, the OCE would have ignored anonymous tips on wrongdoing essentially ending whistleblowing, and the changes would have stripped the office of a communication director aimed at hushing any wrongdoing in Congress and hiding it from the press and public. The concept was the exact opposite of Trump’s promise to drain Washington swamp, instead, it would have made it easier to fill the swamp and keep it all hidden. Soon after the Republican conference held an emergency meeting reversing their course. Before noon, on Tuesday the GOP conference voted to take out the changes to the ethics office from the 115th Congress’ rules package that was later voted on in the afternoon. Incoming House Ethics Committee Chairwoman Susan Brooks (R-Ind.) still believes the OCE needs to be reformed but in a bipartisan matter and will bring the matter up later in the session.